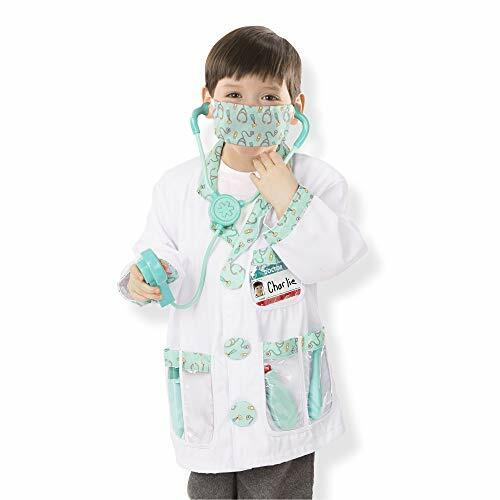 Everything you need to take care of your little spotted friend, and a portable pup carrier, so your puppy can be by your side wherever you roam!with 12 realistic Vet toy tools, The Dalmatian Vet kit from Battat has everything an aspiring veterinarian needs to care for his favorite furry friends. 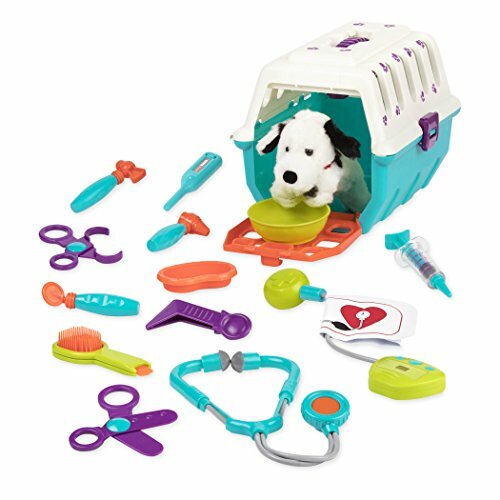 This veterinarian toy set includes 1 pup patient, 1 pet carry case, 1Dog bowl and 12 realistic toy Vet tools to keep all your stuffed animals healthy and happy. pretend play is an essential part of childhood. Imaginary play is a great way to improve hand-eye coordination, develop social and communication skills. Recommended for toddlers 2 years and up. 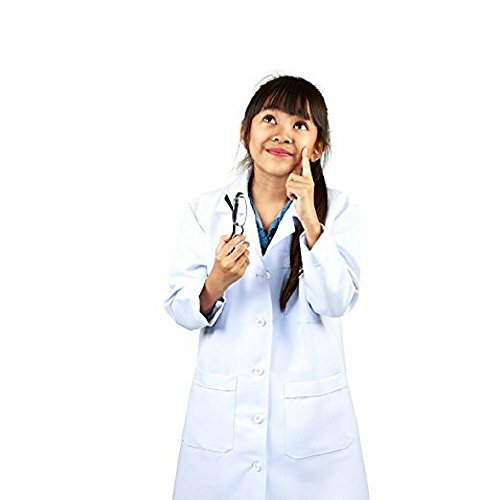 Animal lovers and caring kids will love this veterinarian costume and role play collection that lets them set up their own pretend animal hospital! 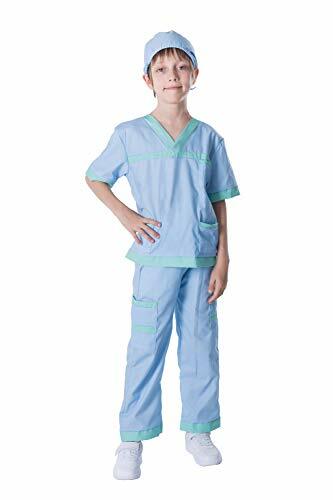 The authentic blue animal doctor's jacket is machine-washable, as are the matching face mask and surgical cap. 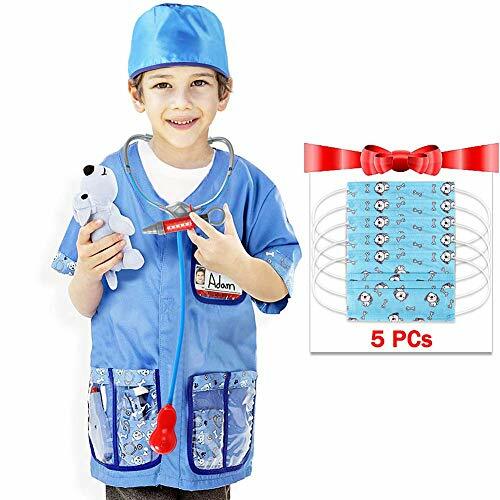 Deep see-through pockets conveniently hold a reusable name tag and the vet's tools of the trade, including a child-friendly syringe, hammer，scissors and a stethoscope . This all-inclusive set even comes with 5 masks.There's a whole world of make-believe packed into this superior-value role play set. High quality, wipe-clean materials and durable construction, as well as adjustable designs to fit varying and changing sizes, ensure years of imaginative play for kids approximately age 3-6. Role playing and dress-up promotes creative expression, narrative thinking, both independent and cooperative play, and self-esteem. 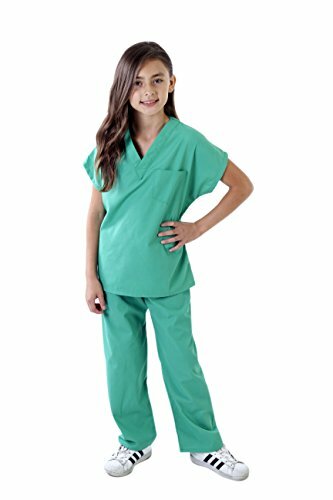 It allows kids to even 'try on' a career and explore the world of work! 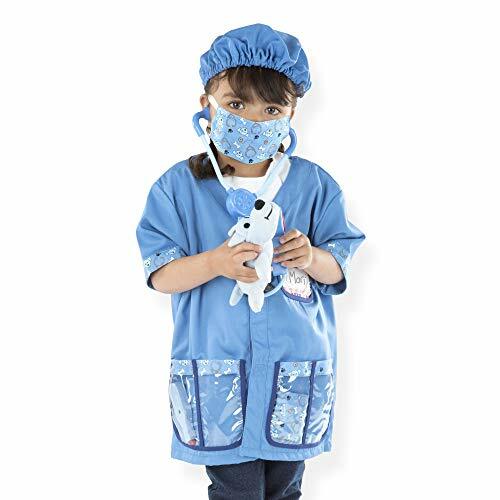 The care of all the toy pets in the house will be in capable hands when your little animal doctor is all suited up in blue!